Taipei – 25 June 2018 – The Networks and Communications Group at Advantech (TWSE:2395), today launched two new network appliances to expand their mid-range offering, targeting next generation appliance refreshes at network security providers and new white box server opportunities in the global enterprise network equipment market. 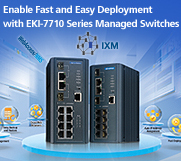 With growing demand for greater cost efficiency in web applications delivery, boosted by a rising adoption of web-enabled devices, the company’s FWA-6070 and FWA-5070 are ideal platforms for WAN Optimization and Application Delivery Controller (ADC) deployment where functions such as load balancing, WAN optimization, and web acceleration are in strong demand. 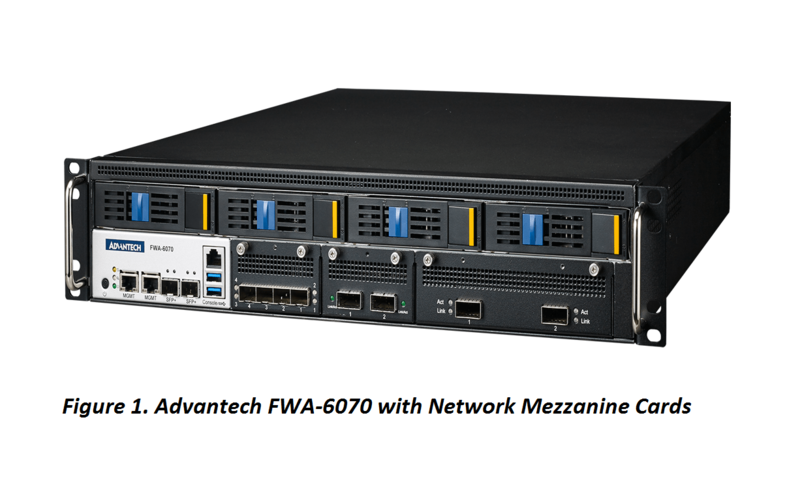 The FWA-6070 and FWA-5070 network appliances are both single socket designs equipped with the latest generation Intel® Xeon® Scalable processors, well suited to handle ADC security functions, remote access and access policy management, with built-in acceleration for data compression and encryption. For Next Generation Firewall (NGFW), IPS/IDS, Security Gateway (Se-GW) and UTM markets, both models are expected to bring significant cost savings to next generation designs where a broad choice of Intel® Xeon® Scalable processors and Intel® QuickAssist Technology will allow vendors to cost-optimize compute and acceleration for a desired workload and throughput. The shift to single socket designs with higher core count processor SKUs offers customers further economies of scale over dual socket designs at lower power budgets while meeting the workload demand for mid to lower high-range deployments. The appliances can be fully configured for virtual networking workloads requiring high-speed packet processing, encryption and compression or for bare metal deployments. 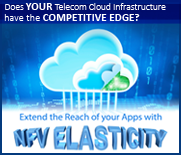 “Network equipment providers and ICT system integrators alike are demanding higher performance and more modular, cost-optimized designs to meet the massive increases in data, driven by faster broadband speeds, more devices and connections.” said Sandy Chen, Director of Enterprise Networking, Advantech Networks & Communications Group. “Our broader scalable network appliance portfolio will help enterprise networking players prepare for the next wave of digital transformation”. A dense I/O version supports up to eight NMCs. A balanced storage and I/O version with four hot-swappable 3.5” drive bays for RAID 0/1/5/10 configurations and four NMC bays for I/O. Advantech’s platform management framework leverages a Baseband Management Controller (BMC) on the FWA-5070 and FWA-6070 to support a HTML5 web-based remote desktop (iKVM), including virtual media support for easy deployment. The web interface provides inventory overview, enables BMC and appliance configuration, and debugging capabilities. Besides standard IPMI 2.0 and DCMI 1.5, high level protocols including Redfish are also supported. Various alerting (mechanisms like SNMP traps or email alerts can be configured, while the BIOS and the BMC can be updated in a fail-safe manner from remote using the web interface or HPM.1 protocol. 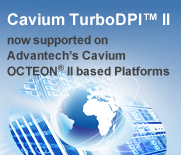 Advantech provides a Quick Start Linux Image for both systems based on CentOS to reduce porting and development efforts and to accelerate the process of system evaluation, testing and validation. The image includes all required drivers for the platform, including DPDK, as well as platform management tools, such as BIOS and BMC update utilities, Advanced LAN Bypass control software and diagnostic packages. The software image is provided free of charge for evaluation purposes. Founded in 1983, Advantech is a leader in providing trusted, innovative products, services, and solutions. Advantech offers comprehensive system integration, hardware, software, customer-centric design services, embedded systems, automation products, and global logistics support. Our mission is to enable an intelligent planet with embedded computing products and solutions that empower the development of smarter working and living. With Advantech, there’s no limit to the applications and innovations our products make possible. For Telecom and Networking markets, Advantech provides business-critical hardware to the leading telecom and networking equipment manufacturers, and to global communication service providers. Advantech’s standard and customized products are embedded in OEM equipment that the world's communications infrastructure depends upon.